​Floor plans for real estate agents, private sale listings, rental properties & project marketing. C﻿heck out ﻿s﻿﻿ome ﻿﻿﻿﻿prices & samples﻿﻿﻿﻿ here. ​Or request an obligation-free ﻿quote﻿. • Simple. Fast. Great service. • Ready for print - brochures & flyers. • Ready for web upload. • Real estate floorplans are a high﻿ly-effective marketing tool. 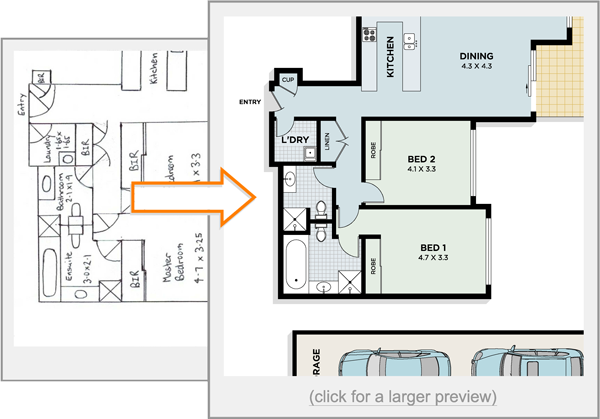 • Floor plans make listings stand out & create visual impact. 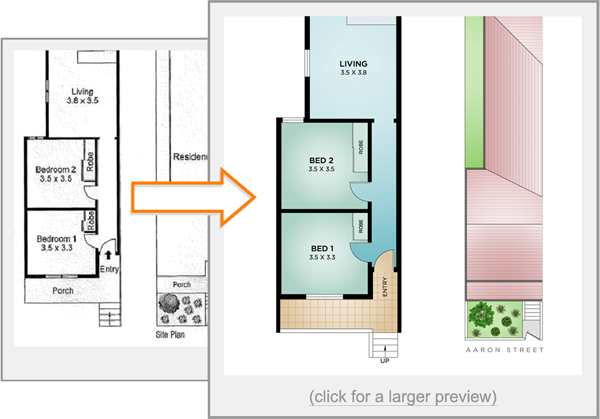 • Floorplans for real estate listings attract mo﻿re views, inter﻿action and lasting interest. 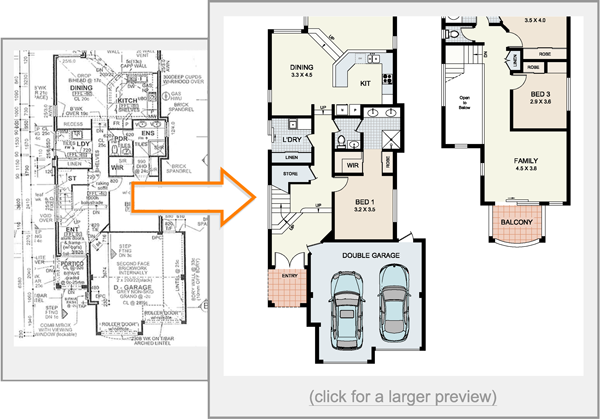 • Floorplans are an integral part of project marketing. ​• A floor plan can help to sell your home faster.